This is the best replacement BMW battery you can find. It has 350 cold cranking amps compared to stock battery with 180 cold cranking amps. 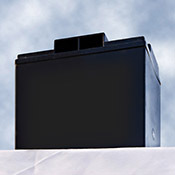 Voltage: 12volt Height: 6 7/8"